Baseball Pitching Machines | Gymshorts.com! At gymshorts.com the great prices apply to more than cheer and gymnastics equipment. 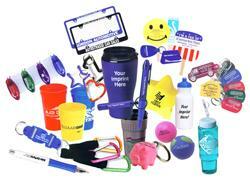 We also offer a selection of equipment for other sports. Our baseball practice accessories are suitable for players from little league all the way up to varsity athletics, and even adult teams. The right practice equipment can mean a winning season for your team. Our selection of baseball pitching machines includes makes and models suitable for any team at any skill level. Whether pitching, hitting, or general agility, our baseball practice accessories can improve general skills and target weak areas. 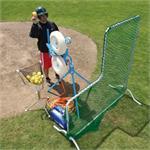 Our combo pitching machine is ideal for those training softball and baseball players. With a wide range of speeds, the pitching machine can go from 20 to 104 MPH with only a few simple adjustments. Our Jugs baseball pitching machine takes the fear and intimidation out of learning how to hit a curveball. This machine is ideal for youth league players getting ready to take the next step in baseball. Some of our baseball pitching machines even come with guarantees of up to five years, making them a no-risk investment for any team. Your equipment manager will be shocked at the amount of time saved by our new model baseball practice accessories. Our selection of baseball protective screens travel just about anywhere, making practice portable and easy. With a one year guarantee, you can fold this screen down into your trunk and go anywhere. Our quick snap baseball protective screens are made to go from set up to take down in two minutes or less, making cleanup after practice a breeze. Our hitting tee takes practice anywhere, letting small groups of players or even one player practice swinging anytime. If you have a child who excels in baseball, this one piece of equipment can improve his or her batting average and give you a break from running practice drills.